We are a professional executive and life coaching consultancy dedicated to self-development, leadership and advancing performance. We offer a unique approach to personal and team learning and development. We utilise decades of experience in business and sport with the support of contemporary neuroscience and the relationship between the brain, thinking, feelings and emotion. Our philosophy is based around positive focused change and a belief in behavioural improvement and human potential, through harnessing the power of emotional management. 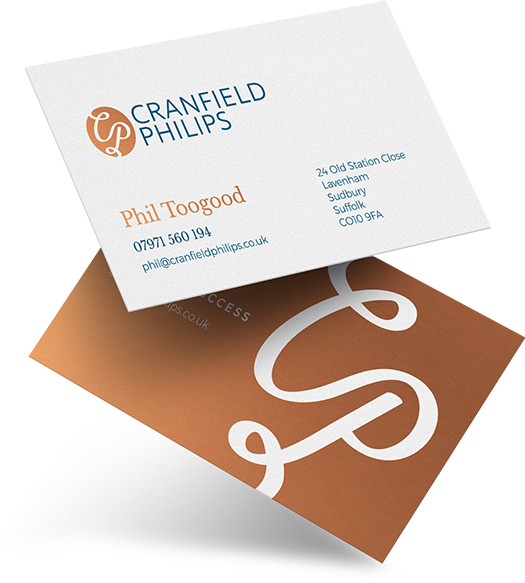 The abundance of experience and knowledge gained from a wide range of industry arenas and lifestyle passages has been uniquely shaped into a wisdom that has become, along with our core values, the model that makes Cranfield Philips a rare proposition. We have the framework and traditions to offer the ultimate gift to our clients and that is ‘to make a difference’. Our benchmarks encapsulate paramount integrity, unconditional confidentiality and total commitment – when we commit to a client they receive our focus, passion and sheer determination to achieve great things. Operating across London, the South East and beyond, Cranfield Philips is here to provide ultimate delivery and results in coaching and performance development. A coaching experience like no other. The coaching platform is aimed at advancing personal and business performance and helping people deal with and conquer many of the work-life challenges that are faced with. We are proud to be unique – offering a coaching experience that is refreshingly insightful.